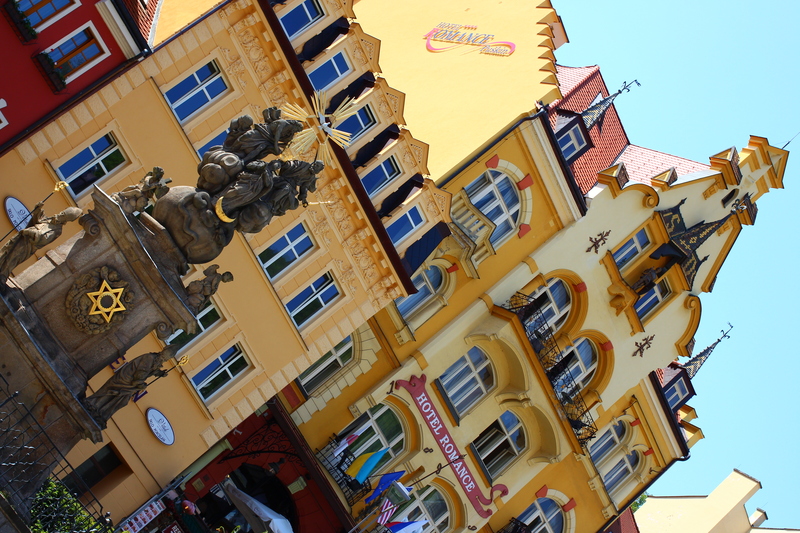 Colors, sights, smells & tastes, my senses went Krazy for Karlovy Vary! This ancient spa town is home to the world famous healing mineral waters! But that’s not all! They are also known for colorful buildings, beautiful gardens & the most tastel gelato you could EVER imagine! Ancient statues & fountains can be seen among the fresh, colorful buildings. The meld of wonders found here is impossible to describe, but I will try! It’s like stepping into a lollypop land, with every step theres a new sound or sight that sends your mind whirring into a day dream & the best part is, you never have to wake up! These candy-colored buildings were EVERYWHERE! 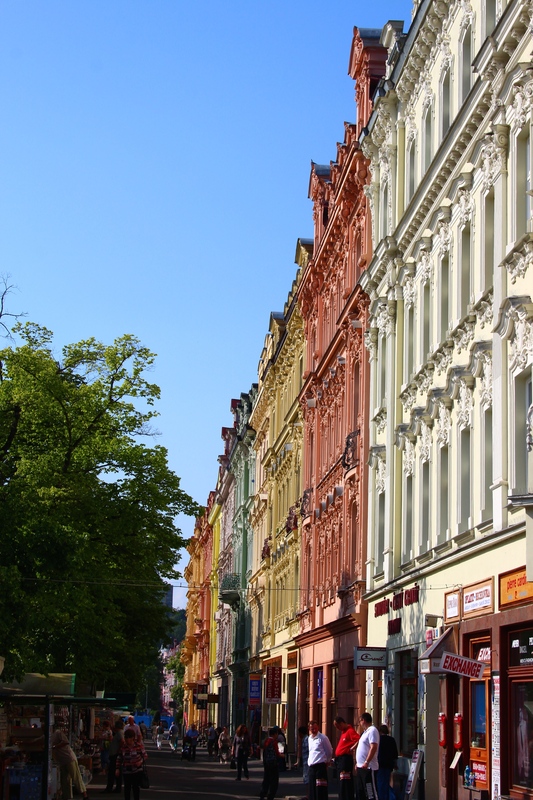 Even the white & cream colored buildings were dotted with colorful flowers or painted with designs. I loved the classic look of the architecture & the way I felt as if I had traveled bad in time. Look familiar? This hotel is the famous location where James Bond, casino Royal was filmed! Thought it was Monte Carlo? Think again. 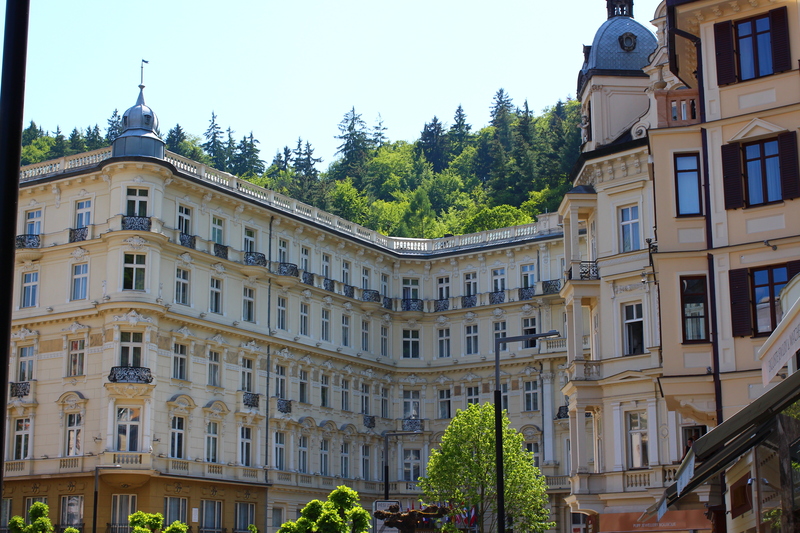 Directors chose Karlovy Vary for it’s charm, impeccable architecture & perfect weather. 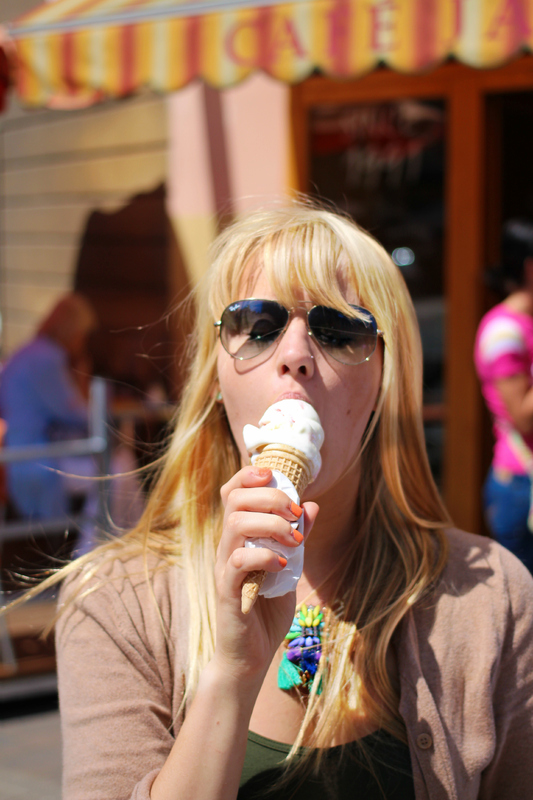 After tasting the…. interesting mineral water (It was hot & tasted like rust… hopefully it did my body more good that it did my taste buds!) 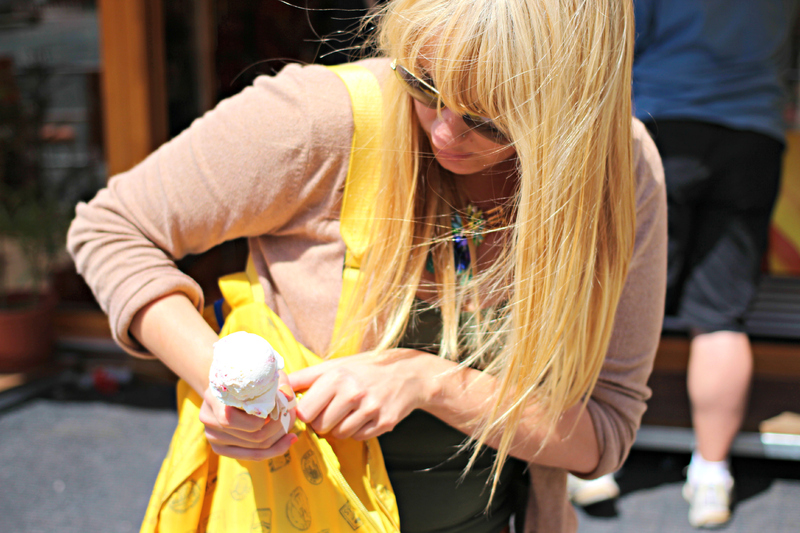 We indulged in gelato. While I’m usually a classic vanilla, I opted for some thing new & exciting called Johgurt. It’s like fro-yo & gelato had a delicious baby, the perfect mix of tart & sweet & flavored with fresh cherries. The absolute perfect fix for a sour tongue. Here’s a sweet little video I filmed, I think I’m getting better at this whole mini-documentary stuff!